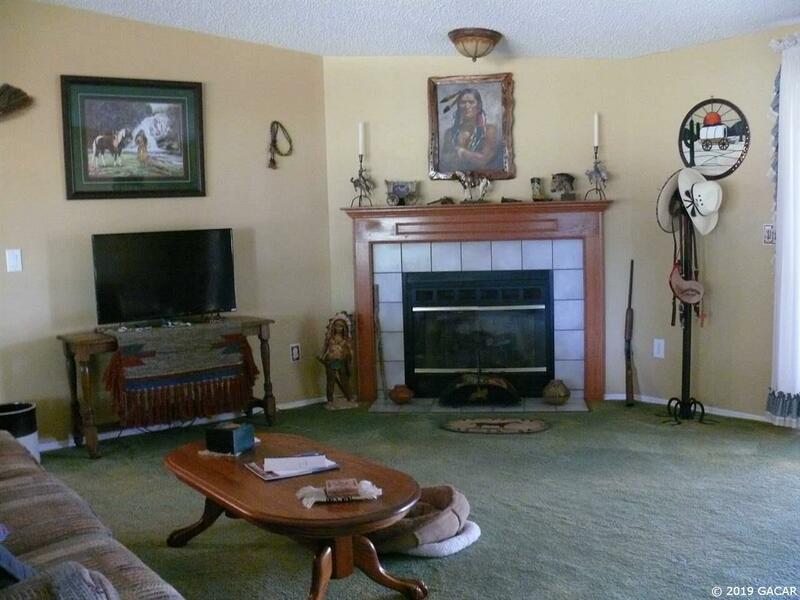 Enjoy your morning coffee on one of three covered porches attached to this spacious, well maintained Jacobson Mobile home on 18.25 acres. Storage and work space abound. 18x30 Metal barn, 30x40 metal barn with 100x75 paddock connecting to the pastures, 20x26 paddock & 15x16 small livestock shelter connecting to pastures. 34x26 barn/workshop w/power & water, 34x24 storage barn w/18ft sliding door. 34x24 covered lean to attached. 2 car carport. 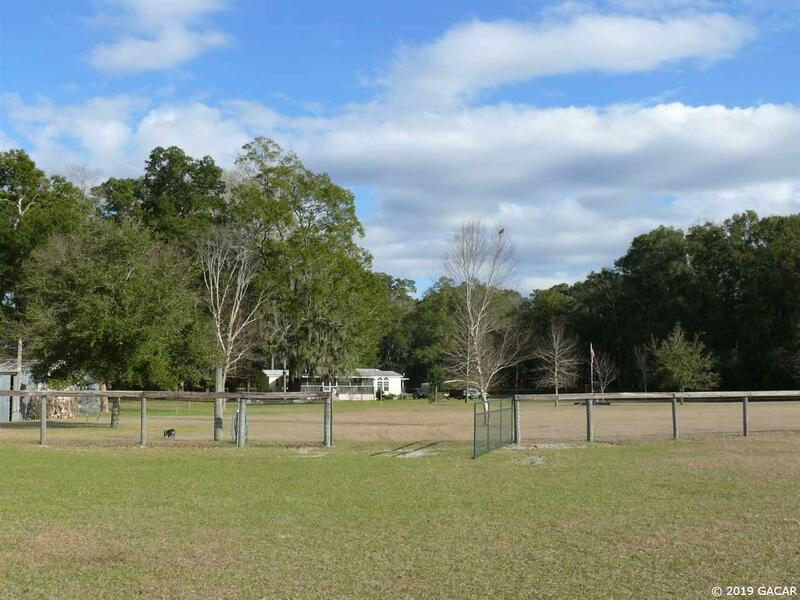 Fenced and cross fenced with no climb horse fence, 2 pastures, 8 acres & 7 acres can be combined or divided by gates. Two 12x16 Shelters in each pasture. 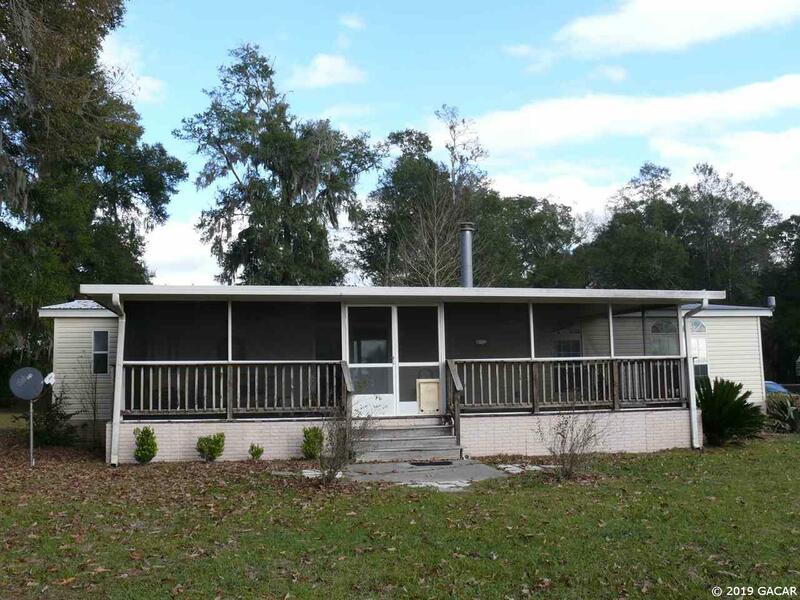 Only minutes from Itchnetucknee River with Santa Fe and Suwannee Rivers both within 8 miles. Springs in the surrounding area make this an exceptional property for the water enthusiast, fisherman or mini farmer alike. 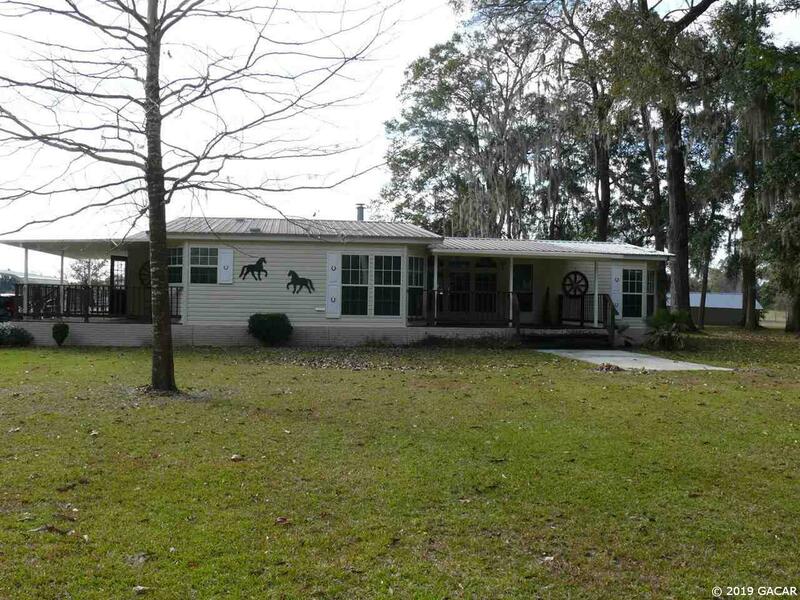 With Gainesville being only 38 miles away and Lake City 16 miles, this property has tranquility and convenience. Legal Description Leg 18.25 Acres Lengthy Description in Office. Listing provided courtesy of Forrester Realty,Llc.